Can You Stop The IRS From Garnishing Your Wages? Sometimes, no matter how careful you are about filing your taxes and paying what you owe, the time may come when you have a bill that you can’t pay. Like all creditors, the Internal Revenue Service will try to collect what you owe using several different means. One of those methods is via a wage garnishment. Employers are prohibited from letting you go because of a wage garnishment issue, a protection extended under the Consumer Credit Protection Act. However, you get only one “get out of garnishment jail free card.” A second garnishment isn’t protected by Uncle Sam, and an employer who views an employee with a second garnishment as a mark on his or her character has every right to fire them. Simply put, a wage garnishment is when the IRS locates a debtor’s employer and takes their wages during each pay period until the debt is paid in full. A wage garnishment can be used to collect a debt that you owe due to a late filing. It can also be used when you file your return correctly but do not pay the full balance of your debt. A wage garnishment is most commonly levied by the IRS or via a court ruling. To implement the garnishment, the IRS obtains a judgment and sends it to the debtor’s employer. The employer is then required to withhold a certain amount of the individual’s paycheck each pay period and send it to the IRS until the debt has been fully paid. Depending on state laws, a garnishment may take anywhere from 30 percent to 70 percent of your paycheck to cover your unpaid debts. Furthermore, the IRS is particularly tough; it can garnish both your income and, if you’re retired and collecting government benefits, can take your Social Security checks, too. The levy usually isn’t lifted until the debt is paid off in full. However, you do have some options, though, as outlined by the IRS. Pay off the debt in full. Once that’s done, the garnishment is automatically lifted. This is the quickest and least painful way to get the IRS off your back. Offer a lower bulk payment as compromise. If you can negotiate a “payoff” sum with the IRS, you can also avoid a wage garnishment. This one’s tricky though, and you’re better off checking in with a tax professional before you climb into the ring with the IRS. Ask the IRS for a payment plan. Uncle Sam may be willing to negotiate regular monthly payments to erase your debts and avoid the need to garnish your wages at all. However, just note that this is typically only granted if you demonstrate that the levy is causing you financial hardship. Thus, if you are receiving notices of tax debt owed, but have yet to have your wages garnished, it’s best to try and set up a payment plan BEFORE this IRS begins garnishments. Once the garnishment is in place, the IRS has little impetus (other than the hardship situation) to revert to a payment plan if it’s collecting money from you. Quit your job and dodge the IRS for a while. If you quit your job, it will probably take the IRS a few months to track you down at your new job. They won’t like it, but at least your wages won’t be garnished in your new job (for the short term, anyway). That might buy you some time to come up with the money to settle your debt. File for bankruptcy. This option should not be used lightly, but if it’s “last resort” time, bankruptcy can at least help you avoid wage garnishment, or have it released if the garnishment is already in place. Don’t create a garnishment to begin with. The best way to avoid a wage garnishment may be old-fashioned, but it works all the time. Pay your bills on time, save some money for emergencies and spend less than you earn. Do that and neither your employer nor the IRS will be dogging you about wage garnishments ever again. This entry was posted in IRS Talk and tagged can social security be garnished, how much social security can be garnished, how to stop IRS wage garnishments, options to stop wage garnishment, using chapter 7 bankruptcy to stop wage garnishment on December 25, 2013 by Administrator. So, the IRS is closed during the current government shutdown. Does that mean that you get a free pass on paying your taxes, especially if you extended to the October 15th deadline? Not exactly. Per the IRS, here is a brief summary of questions taxpayers have raised as well as their response. What is the state of current operations? Current IRS operations are limited. However, the underlying tax law remains in effect, and all taxpayers should continue to meet their tax obligations as normal. You should continue to file and pay taxes as normal. Individuals who requested an extension of time to file should file their returns by Oct. 15, 2013. Is the Oct 15 due date still in effect and should people still file? Taxpayers should continue to file and pay taxes during a lapse in appropriations as they would under normal government operations. Individuals who requested an extension of time to file should file their returns by Oct. 15, 2013. Will paper tax returns be considered timely filed even though the IRS is not processing paper returns? Yes. 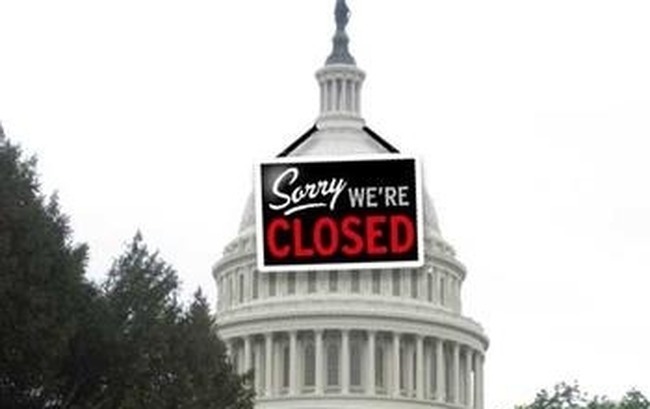 the United States Postal Service is operating during the shutdown, and they will postmark and deliver mail to the IRS. Any return postmarked by the due date will be considered timely filed by the IRS even though processing of the return may not occur until after the return due date depending on the length of the lapse in appropriations. Is the IRS continuing to issue levies or liens during this period? 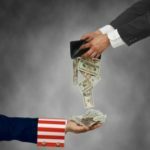 During the lapse in appropriations, the IRS is not sending out levies or liens – either those generated systemically or those manually generated by employees. The IRS notes that taxpayers may still receive levy or lien correspondence with October mailing dates, but those notices were printed before IRS shut down operations were fully complete. (It is standard practice for these notices to be printed with a future date to allow for mailing time to reach taxpayers.) In addition, the IRS notes that other letters related to liens and levies – such as notifications that a taxpayer could potentially be subject to a lien or a levy at a future date – continue to be automatically generated by IRS systems during the appropriations lapse. However, the IRS emphasizes that these notices are not actual levies or liens; just a notification of potential future action. This entry was posted in IRS Talk and tagged do I need to pay taxes during government shutdown?, filing tax returns during government shutdown, IRS operations during the government shutdown, IRS shutdown, October 15th deadline and government shutdown, tax liens during government shutdown on October 10, 2013 by Administrator. When an individual is facing IRS debt and is working to get it resolved, they’re often required to fill out a Collection Information Statement. The Revenue Officer assigned to the case is allowed to (and often does) question any expenses that look fishy. However, what expenses are considered allowable can sometimes perplex a taxpayer. For example, the IRS sets very specific limits on what a household can claim as an expense. These are often referred to as the National Standards. However, IRS simultaneously explicitly prohibits the claiming of certain expenses for collection purposes, including expenses that are deductible or create tax credits on a tax return. Many taxpayers are confused by this fact, and it’s just one of the numerous inconsistencies across the tax code. When it comes to the dollar amounts which are considered allowable per the National Standards, many people are shocked at how low some of the numbers are. Conversely, there are other people that are shocked at how large some of the numbers are. Keep in mind that the IRS National Standards reflect the government’s calculation regarding a precisely middle class existence. For example, the allowable housing expense will vary geographically, because housing is cheaper in some parts of the United States, and much, much more expensive in other parts. However, the allowable expense for any area represents the median housing cost for that geographical area. The National Standards for other expenses, such as public transportation and out of pocket health care costs, are the same for everybody nationwide, and are updated every couple years. For food, clothing, and other miscellaneous expenses, the IRS allows a set amount based on the number of family members in the household. Historically, the IRS has not allowed expenses for unsecured obligations, such as your minimum monthly credit card bills and student loan payments. However, as part of the 2012 “Fresh Start” program, the IRS now gives collections personnel discretion on these items. Your Revenue Officer may permit you to claim these items, and it is therefore better if you do so up front, and let them tell you later that you can’t. Hopefully this gives you a little more insight into why some expenses are allowed and how they are calculated. In the end, the most important fact is to ensure that that you claim every allowable expense on your Form 433. 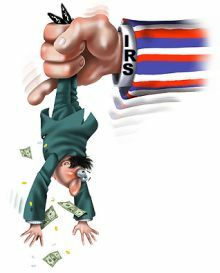 Doing so will ultimately minimize the amount you end up paying the IRS on your back tax liabilities. This entry was posted in IRS Talk and tagged Collection Financial Standards, IRS Allowable Expenses, IRS Debt, IRS Form 433-A, IRS Form 433-B, IRS National Standards on October 5, 2013 by Administrator. The IRS is the only collections authority that can take significant actions that will make it hard for you to live. One such situation is when they start to garnish your paychecks. A wage garnishment is one of the most-feared IRS collections tactics, and rightly so. Your employer is legally obligated to implement it. If they don’t, they can face stiff penalties themselves. The bright side in these situations is that an IRS wage garnishment does NOT follow you to another job. So, if you have a wage levy in place and decide to quit your job in order to get out of it, we would encourage you to seek employment to get back on your feet. The IRS won’t know where to send another wage levy to an employer until some sort of tax return information gets filed. For example, when your employer issues you a W-2 after the end of the year, they are required to file a copy of it with the IRS. When this happens the IRS will then know where you work and may file a new wage levy at your new employer. So, if an IRS wage levy or wage garnishment is creating a significant economic hardship for you, you are encouraged to do one of two things. One is to seek professional tax representation to assist you in resolving the matter. If your tax situation is fairly complex, you’re going to want to hire professional tax representation to resolve your situation. If your tax situation is otherwise simple, or you simply cannot afford to hire professional tax relief assistance, then by all means contact your Local Taxpayer Advocate. There is a Local Taxpayer Advocate (LTA) office in all 50 states and very large cities will have a dedicated office (ex. Cleveland and Cincinnati OH). Contact these folks and tell them your situation; it’s their job to help out folks such as yourself, and it’s a service already paid for by your tax dollars (nice how that works, right?). The nice thing about the Taxpayer Advocate service is that they are an independent arm of the IRS, and they function OUTSIDE of the normal bureaucracy of that agency. In fact, the Taxpayer Advocate service reports directly to Congress, NOT to the Commissioner of the Internal Revenue Service. If you’re seeking assistance from the LTA, you will most likely want to file the following form, which is IRS Form 911, Request for Taxpayer Advocate Assistance. Your LTA can provide you with this form. So, again, don’t let an IRS wage garnishment make you think that you can’t go get a job. The wage levy from your previous job does NOT automatically follow you over. Also, either seek professional tax resolution assistance from a reputable firm, or contact your local Taxpayer Advocate office to get help. As always, ignoring your IRS problem does NOT make it go away. It is always best to confront the problem head on, get it resolved, and then move on with your life. If you would like us to help you with your situation, please give us a call at 773.239.8850. This entry was posted in IRS Talk and tagged Garnishment, IRS, Office of the Taxpayer Advocate, Wage on September 7, 2013 by Administrator. Last week we negotiated a client’s back taxes into an IRS status referred to as Currently Not Collectible (CNC). The conversation went rather smoothly as we had all the necessary paperwork and we worked with a representative who was fairly amicable. But what happens when your experience isn’t so pleasant or doesn’t go in your favor? Fortunately for many people with a tax debt, the IRS has an administrative Appeals Division (Appeals) to which most collections actions taken by the agency can be appealed. Appeals is one of the IRS’ best kept secrets. Why? In our experience, Appeals personnel appear to be under less pressure to collect tax revenue than Revenue Officers. This is likely due to different criteria for personnel reviews. In addition, Appeals personnel are simply more pleasant to deal with in general, usually lacking the snappy attitude and air of arrogance that is unfortunately common amongst Revenue Officers. So what is the primary purpose of Appeals? Well, their functional mandate from on high is, effectively, to prevent cases from going to court (thus saving the government the expense of litigation). This is done by offering a “fresh look” at situations that have already had some interaction with the IRS at another level. Appeals, however, is still an administrative function and is not a court in any way itself. Appeals works in a very formulaic manner, just like any other IRS division. When you file any sort of IRS appeal, you’ll receive a letter notifying you that your case has been assigned to a Settlement Officer (SO). Sometimes, this first letter will include your hearing date but sometimes it won’t. The initial contact from appeals via mail will usually include a request for financial documentation, if this information wasn’t already in your file when it was passed to Appeals from Collections. If your Appeal in any way mentions a “resolution alternative” (such as an Installment Agreement, CNC, or Offer in Compromise) then you will be requested to provide the financial documentation necessary to reach that resolution alternative. Many different types of Collection actions taken against you can be appealed. Aggressive collections actions such as bank account levies and wage garnishments are commonly appealed, but so are proposed garnishment actions, and even denials of payment plans. If the IRS takes any adverse action against you, make sure to carefully review the notices they send you, which will always explain your appeals rights. If you need assistance protecting your legal right to an appeal, such an action by the IRS, be sure to contact a tax professional experienced in representing taxpayers with such tax issues. This entry was posted in IRS Talk and tagged Appealing IRS Audit, Appealing IRS decision, Appealing IRS Penalties, Appeals Division, IRS Appeals, IRS Settlement Officer on July 29, 2013 by Administrator. What these ads are referencing is an IRS program called an Offer in Compromise or OIC. This program does allow you to pay a reduced amount of money as full settlement of your entire tax liability, including penalties and interest. However, it’s not as simple as the commercials make it sound. Most of those commercials will make one think that you simply take your tax debt, multiply it by some percentage and then you just pay them that amount and walk away. Unfortunately, that is not how it works. Add up the value of everything you own: House, cars, furniture, jewelry, undergarments, stocks, bonds, cash, retirement accounts, tools, goats, art….EVERYTHING. Call this number “A” – it represents the value of your assets. Subtract your allowable expenses (the IRS won’t let you claim all actual expenses) from your total income. Call this number “B” – it represents yours remaining income (this is what the IRS calls it – not your disposable income, which is probably less). Multiply “B” times either 12 or 24, depending on how long you’re going to take to pay off the Offer in Compromise. Call this new number “C”. A + C = Z, where Z is the amount of money you can settle your tax liability for. Here’s the kicker: If “Z” is more than what you owe the IRS, then you’re not eligible for the program. The result? You’re probably going to end up paying monthly payments on an Installment Agreement. You must file all missing tax returns. You must keep your nose clean with the IRS for 5 full years, otherwise they will re-bill you for everything they forgave. You must make the OIC payments on time. You must pay an application fee, unless you meet the low income guidelines. If you end up being owed a refund on next year’s tax return, the IRS is going to keep that refund money. The real problem for most people with the Offer in Compromise application process has to do with the part where they multiply your remaining monthly income by 12 or 24. If you have $1,000 per month left over, and are going to take a year to pay off the Offer in Compromise, then you multiply by 24 to get to $24,000. Well, if you also have $20,000 equity in your home, and no other assets, then your Offer amount is $44,000. If you owe the IRS $35,000, you’re not eligible for the Offer in Compromise program. It’s worth noting that, in March 2012, the IRS changed some of the Offer in Compromise rules. The single biggest thing they did was to REDUCE that multiplier — it used to be 48 or 60. For taxpayers with no assets, this change effectively reduced the necessary offer amount by up to 75% — making potentially hundreds of thousands of people eligible for the program that didn’t used to be. HOWEVER….the IRS can change this back at any time. If you are even thinking about applying for an OIC do it now! Feel free to call our office at 773.239.8850 and we’d be happy to help you get started. This entry was posted in IRS Talk and tagged IRS Offer In Compromise, offer in compromise formula, offer in compromise requirements, OIC, settling taxes for less than you owe, settling taxes for pennies on the dollar on July 17, 2013 by Administrator. Occasionally someone will call our office freaking out about an IRS letter stating that a lien is being filed against them. In this post, we’ll discuss what a lien is and isn’t and how to deal with it. What does a lien actually mean/do? When you owe back taxes to the IRS, they will generally file a tax lien notice against you. Tax liens are a matter of public record and available for anyone to look up. They are typically filed for any balance due that exceeds $10,000. However, new tax liens are usually filed for less than that amount if you continue to pile on additional tax debt in the future. So what exactly is a tax lien? Basically, it’s a claim against your property. A tax lien takes a higher priority over most other kinds of liens, and after 180 days jumps ahead of some lien types it doesn’t automatically supersede. A Federal tax lien will not jump in front of a mortgage, or a local property tax lien, but it can jump ahead of just about everything else. 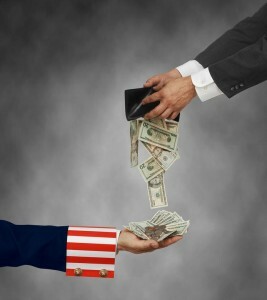 The important aspect of a Federal tax lien is that it covers ALL of your property. For example, the mortgage on your house is usually only secured by the house itself. But when it comes to a tax lien, it is actually “secured” by everything you own. This means the clothes on your back, the money in your checking account, your retirement accounts and even your paycheck. That’s right; a Federal tax lien provides the government with the ability to claim your paycheck. That doesn’t mean they’re going to take it, it just means that they can. A Federal tax lien also shows up on your credit report. This can impact your credit score, and make it difficult to obtain employment, as many employers will use this information in their hiring decisions. It is important to understand that a lien is NOT a levy. A levy is an administrative order directing a 3rd party to physically hand over cash or property to the government that is covered by the lien. Thus, for 99% of people, a Federal tax lien is actually harmless, and has zero impact on their life or business. Sometimes, however, the lien itself creates a bad situation. In those cases, there are things that can be done with the lien that can help put you in a better position. Basically, you have so show the IRS that the pure existence of the lien will cause a dramatic loss of income. For a business, a lien may interrupt a factoring agreement or a line of credit, which is required for them to operate. For a person, the existence of a lien might mean the loss of a security clearance, and therefore loss of a job. Another tactic that one can sometimes take is to keep the IRS tax lien in place, but subordinate the government lien to some other lien. When we do this, we essentially get the IRS to place themselves in second priority position, underneath somebody else. It is not uncommon for somebody to have one particular asset that is worth a bit of money. Sometimes selling that asset can bring in enough money to help pay down the tax debt, or selling the asset will eliminate the monthly payment on the asset, thereby allowing you to put that money towards the IRS bill each month. See how this all keeps coming back to that “facilitating collection” point mentioned above? Let’s say you own a vintage 1957 Chevy. It’s worth $60,000 but you still owe $25,000 on it. You’re currently making monthly payments of $500 toward the balance owed. You obviously don’t want to sell this car, but it will make life a lot easier if you did, since you owe the IRS $100,000 and they are going to start taking your paycheck via wage garnishment if you don’t do something. So, you decide to sell the Chevy. The problem is that the IRS lien prevents you from selling it. Not only does your loan company have a lien on the car, the IRS lien covers it, too. Thus, we need to remove the IRS lien in order to sell the car. The process of removing the IRS lien from this one piece of property is called a lien discharge, and you obtain a Certificate of Discharge releasing this one asset only from the lien. With the Certificate of Discharge in hand, you can sell the car. This in turn allows you to pay off the loan without the IRS making a stink about that $25K going to the bank. Furthermore, you then you have $35K profit from the sale that you give to the IRS, plus free up $500 per month to pay the government. This is not an ideal scenario for most people, giving up a beloved possession. But it’s far better than the IRS seizing 70% of your paycheck every month. By itself, an IRS tax lien itself really has no teeth. It’s the things that come several months after the lien filing (e.g. a tax levy) that really cause trouble. However if you have a tax lien, it’s probably best to deal with it using one of the options above. Especially if the path to resolving the tax debt itself involves doing things with assets, banks, keeping financing open or preventing the loss of your job or business revenue. This entry was posted in IRS Talk and tagged dealing with tax liens, how to deal with a tax lien, tax lien help, tax lien subordination, tax lien withdrawl, what is a tax lien? on June 11, 2013 by Administrator.